Comments: Evergreen, native of Chile or Brazil in South America. Brought to California by Spanish padres. 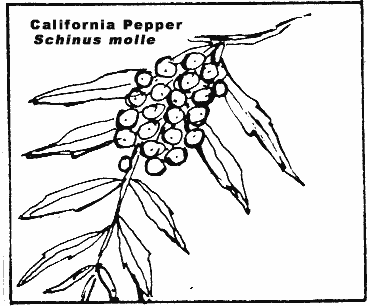 In early summer flowers appear followed by red berries in great quantities, leading to the colloquial name "Pepper-tree". 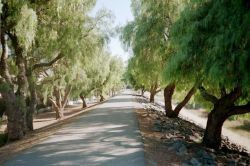 This tree lined path leads to Alameda Creek.